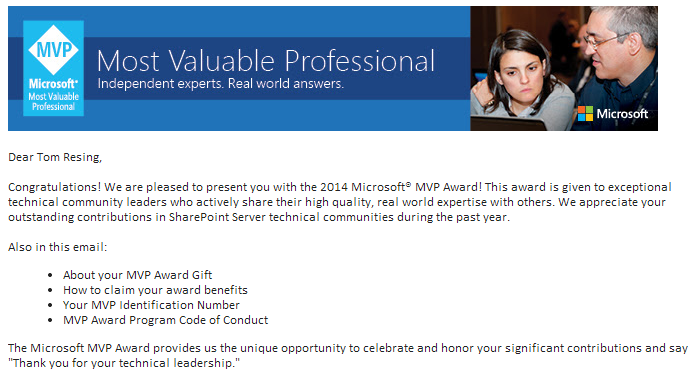 My 2014 started off with some great news from the Microsoft MVP Award Program. I received a 2nd MVP Award for my SharePoint community contributions in 2013! Thanks, Microsoft and thanks to the community.